作者: The AsiaN Editor on 8 February , 2019. The educational system in Iran was defined several years ago at three levels: primary school (5 years), guidance (3 years) and high school (4 years). But now, after several decades, it has again been divided into two parts: primary school (6 years) and high school (6 years); plus one year pre-school. Of course, with the difference that in the elementary school, the test-based score is not the basis and students are evaluated descriptively. According to Iran’s constitution, the education of children is free and supported by the government. Although there are private-sector schools under government supervision and families can send their children to these schools at a cost. However, the educational system and certification of these kinds of schools are quite similar to that of state schools. 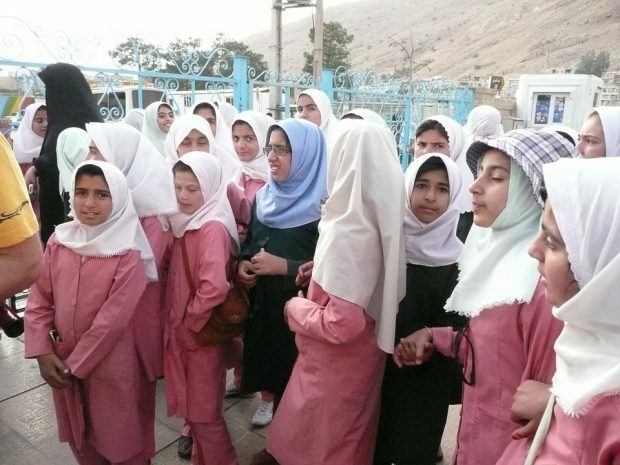 Families in Iran are required to register their children at a school with a short distance from their home. However, under certain conditions, including their place of work, they can obtain a registration permit in an area far from their home. Families can also use the shipping service to pay for their children. Since 40 years ago, girls and boys schools are separated. Of course, before that time, there were separate schools for girls and boys in high schools. Currently,, there is no such separation at the kindergarten and at the university. In addition, there are no prohibitions on the teaching of female teachers at boys and male teachers at girls schools; as long as the general school teachers of boys are female teachers and some female high school teachers are men too. The official language of teaching in Iran is Farsi, but children in high school also learn English and Arabic. Moreover, in some indigenous areas of Iran, where people speak a local language including Iranian Turkish and Iranian Kurdish, the residents would like their children to also study indigenous languages. Teaching work skills and life skills also includes mathematics, physics, history, geography and chemistry. One of the important changes in the educational structure of Iran has happened in the way of entering the university. Over the past few decades, the new demographic composition of Iran and the limited capacity of universities have made the university entrance exam a difficult challenge. This difficult test affects the years of high school for students and free educational institutes also flourished and earned considerable revenues. Few years ago, the government decided to eliminate this test under the new conditions over a multi-year process and students would go to universities on the basis of their performance during their previous years. This decision has had serious opponents along supporters and it has led into controversies.